Zak Kostopoulos, a prominent LGBT+ activist and drag performer, was kicked to death by two men in broad daylight in Athens on Friday. News 24 September, 2018 . Written by Sarah McKenna Barry. 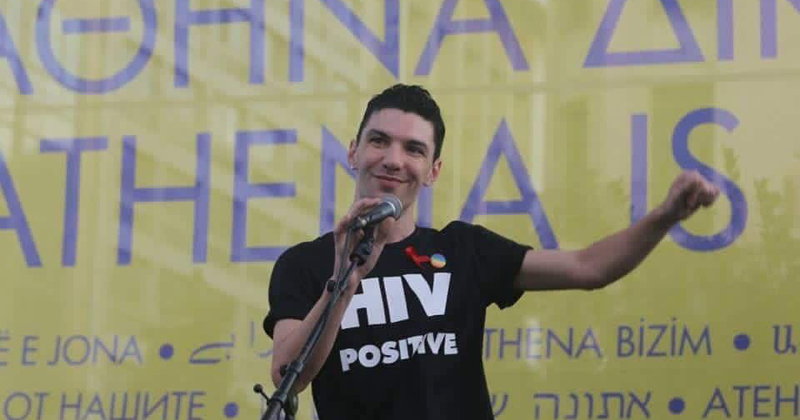 Greek media has reported that LGBT+ activist and drag performer Zak Kostopoulos has died in an accident following an alleged attempted robbery of a jewellery shop in Athens on Friday. However, a video has surfaced which shows an unarmed Kostopoulos being kicked to death by two men in front of a crowd of onlookers. Other social media users have reported that Kostopoulos had no intention of attempting any sort of robbery, but entered the jewellery shop in order to seek protection from a fight happening on the street. He apparently became trapped inside the shop’s door space once the security door closed automatically. A viral video documenting Kostopoulos’ death is circulating. The video shows Kostopoulos struggling to stand while leaving the shop through its window after breaking it with a fire extinguisher. The shop owner then chases Kostopoulos and proceeds to beat him to death with another man in front of an onlooking crowd. When police officers arrived, they put Kostopoulos in handcuffs. Kostopoulos reportedly died in an ambulance on the way to the hospital as a result of his injuries. The shop owner was arrested and the other man involved in the beating is still wanted in connection with Kostopoulos’ death. Zak Kostopoulos was a prominent figure and performer in the Greek LGBT+ community. He spent much of his career speaking out against stigma surrounding HIV. He was an active member of Positive Voice, the Greek HIV Positive association. He also was a popular drag artist performing under his drag name Zackie Oh. 24 September, 2018 . Written by Sarah McKenna Barry.